Anthony Iton, M.D., J.D., MPH is Senior Vice President for Healthy Communities at The California Endowment, a private, statewide health foundation whose mission is to expand access to affordable, quality health care for underserved individuals and communities, and to promote fundamental improvements in the health status of all Californians. Prior to that Dr. Iton served for seven years as the Alameda County Public Health Department Director and Health Officer where he oversaw an agency with a budget of $112 million with a focus on preventing communicable disease outbreaks, reducing the burden of chronic disease and obesity, and managing the county’s preparedness for biological terrorism. eliminating health inequities is through the design of intensive, multi‐sectoral, place‐based interventions that are specifically designed to identify existing assets and build social, political and economic power among a critical mass of community residents in historically under resourced communities. 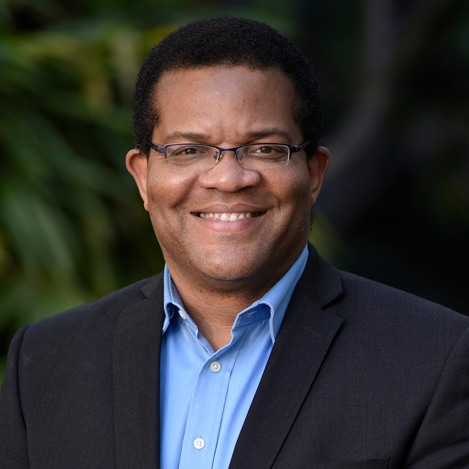 In the fall of 2009, Dr. Iton moved to The California Endowment to help oversee the organization’s 10‐Year, Multimillion‐Dollar Statewide Commitment to Advance Policies and Forge Partnerships to Build Healthy Communities and a Healthy California. the day‐to‐day practice of public health and in responding to recent public health emergencies such as SARS and anthrax. Awards include the Champion of Children Award from the United Way; the National Association of City and County Health Officials Award of Excellence for the use of information technology in public health; the 2009 Clean Air Award from Breathe California; and the HeartSaver Award from the American Heart Association. In 2006, he was awarded the prestigious Milton and Ruth Roemer Prize for Creative Public Health Work, awarded by the American Public Health Association to a U.S. local health official in recognition of outstanding creative and innovative public health work. In February 2010, Dr. Iton was recognized by the California Legislative Black Caucus with the Black History Month Legends Award and presented on the floor of the California State Assembly with a resolution memorializing his life's work and achievements. He serves on the board of directors of the Public Health Institute, the Public Health Trust, the Prevention Institute, Jobs For The Future, and formerly served in various leadership roles at the Health Officers Association of California, the California Conference of Local Health Officers, and the National Association of County and City Health Officials. California Endowment, a private, statewide health foundation whose mission is to expand access to affordable, quality health care for underserved individuals and communities, and to promote fundamental improvements in the health status of all Californians. Prior to that Dr. Iton served for seven years as the Alameda County Public Health Department Director and Health Officer where he oversaw an agency with a budget of $112 million with a focus on preventing communicable disease outbreaks, reducing the burden of chronic disease and obesity, and managing the county’s preparedness for biological terrorism. Dr. Iton received his medical degree at Johns Hopkins Medical School and subsequently trained in internal medicine and preventive medicine at New York Hospital, Yale, and Berkeley and is board certified in both specialties. Dr. Iton has also received a law degree and a Master’s of Public Health from the University of California, Berkeley and is a member of the California Bar.